The region of Catalonia is seeking mediation to bring the Spanish authorities to the negotiating table. 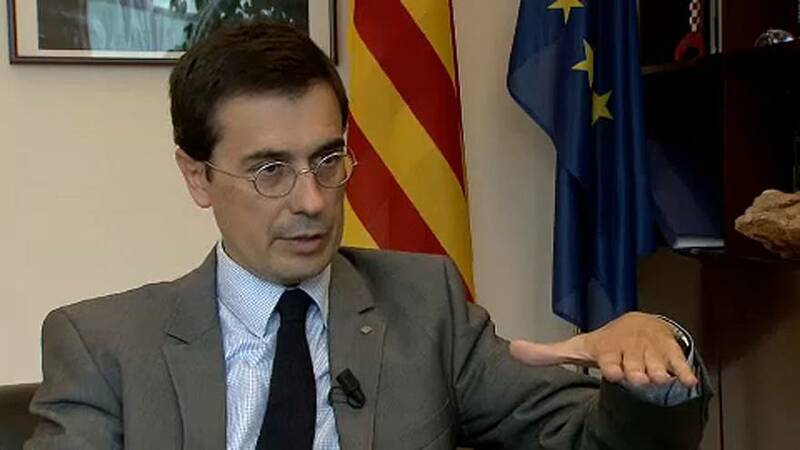 Amadeu Altafaj is the Catalan Representative to the European Union. He says Catalonia is prepared to discuss just about anything and has already received offers of mediation from various international organisations. “If the conditions for sitting at the negotiating table are that you have to give this or that up, it already seems a very strange way to engage; firstly it’s necessary to restore a certain sense of calm and reassure Catalan citizens that their security and protection is ensured. Then it is necessary to restore the normal functions of Catalan’s institutions, which aren’t in place today”. The stakes are high: two of Spain’s biggest banks, Banco Sabadell and Caixabank, are already weighing up an exit from Catalonia over the potential split from Spain and European Institutions. They are calling for dialogue but have made clear their support for Spain amid mounting tensions. Amadeu Altafaj set out the Catalan position to events, making it clear that they are pressing for communication with Madrid. “I would prefer resolution via the EU and hope that Spain finally understands it needs to negotiate rather than be forced to by the pressure of financial markets”. Catalonia’s strategy appears to be to gain time before declaring independence in order to increase negotiating power ahead of any discussions.